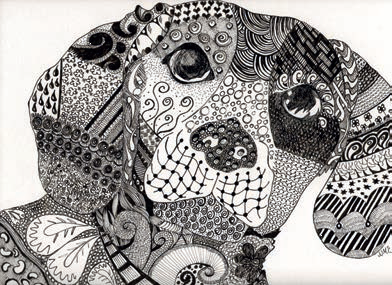 Zentangle is a way to create relaxation and inner calm while being engaged in creating patterns. It is an easy to learn and fun way to create beautiful images by repeating patterns. You can take it as mindful drawing. With Zentangle method of patterning, students develop deep focus.